As she has done for many years, Brenda Tekin coordinated the Rockfish Gap Hawk watch program in 2009. 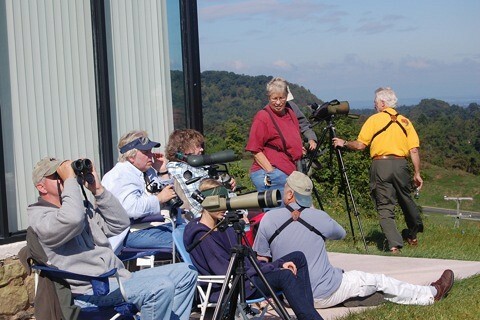 Every autumn, the Inn At Afton becomes a friendly meeting place for birders from all around the area. The hawk watch crew at Rockfish Gap. 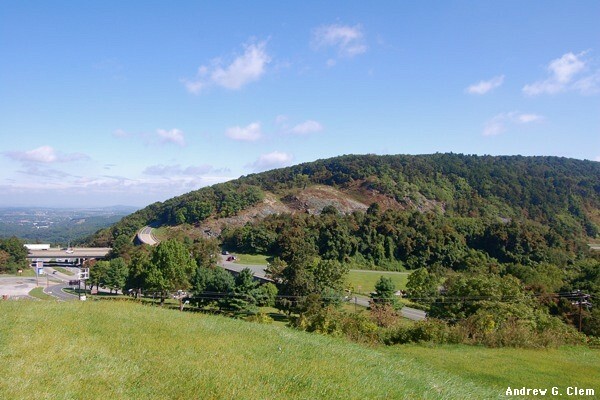 Rockfish Gap, site of the hawk watch. Photos by Andrew Clem, September 12, 2009. 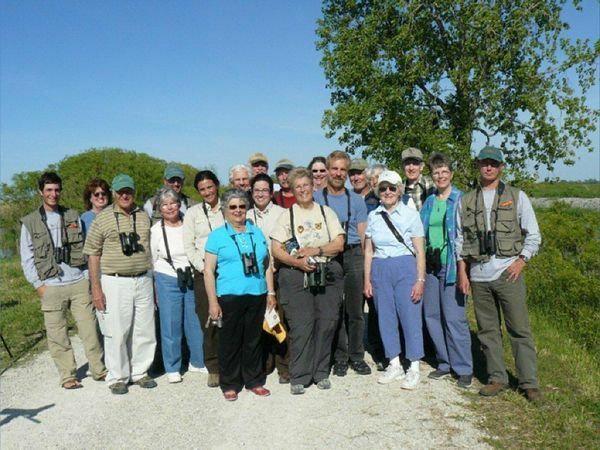 Eighteen members of the ABC along with one member from the Richmond Audubon Society made the trip to Magee Marsh where we birded from May 17-20. Twelve members continued the trip to Grayling, May 20-21. By all accounts this trip North focusing primarily on migrating passerines was a huge success! In excess of 157 species were sighted. Highlights of the trip included 32 warbler species (including the elusive Kirtland's Warbler in Grayling); five Thrushes, Black Terns, Yellow-headed Blackbirds, a Sora and Bald Eagles. Perhaps the best find of the trip, one that turned out to be a life bird for many, was a Ruff. 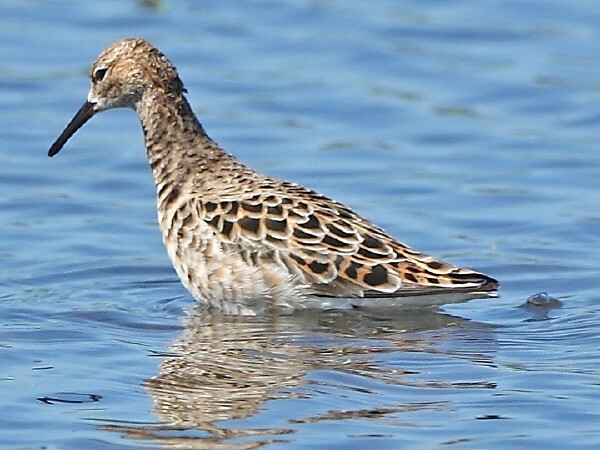 While on a prearranged escorted tour of Ottawa National Wildlife Refuge in Ohio, a Ruff was spotted by Allen. After much consultation among the birders and references to photographs of the bird (taken by Brenda with her telephoto lens) it was agreed that we indeed had a Ruff. Since this is a very rare bird, spotted at Ottawa NWR fewer than 6 times since 1969, our guide made several calls to people who might confirm our sighting. Soon we were joined by three guides from Tropical Birding and their groups as well as Kenn Kaufman, professional birder and author. They collectively confirmed that the bird was a first year male Ruff. At the same pool a Phalarope was also sighted and with careful study was identified by Dan as a Red-necked Phalarope. This bird is also very rare at Ottawa NWR. Its identity was also confirmed by the experts. The Grayling contingent also stopped at Nayanquing Point Wetlands near Saginaw Bay and here we saw our target bird, the Yellow-headed Blackbird, among other birds. The trip provided many great views of warblers and numerous life birds for most participants. Much gratitude to Beth and Harry for doing most of the planning in making this successful and enjoyable trip possible. Also thanks to everyone for their active participation and good humor! The group at Ottawa National Wildlife Refuge. Noted bird photographer Kenn Kaufman is in the blue-gray shirt to the right of center, next to Nancy Lawler. Photo courtesy of Lee Laudenslager Adams. One of the most notable birds seen at Ottawa NWR was this Ruff. Photo courtesy of Brenda Tekin.